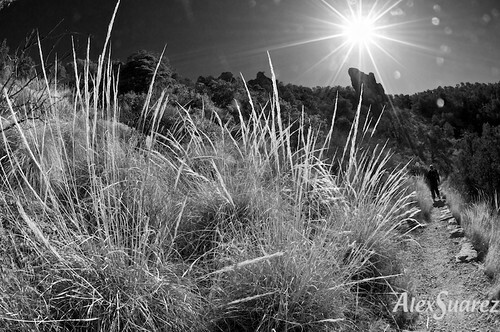 Tall backlit grass on Lost Mine Trail in Big Bend National Park. This was on a 4.2 mile, 1,200 foot elevation hike. Sorry about the dirty front element on the lens. This year due to rains at the right times, wildflowers are blooming nicely in Central Texas. As you drive around you see families pulling over on the side of the road to take pictures in the flowers. 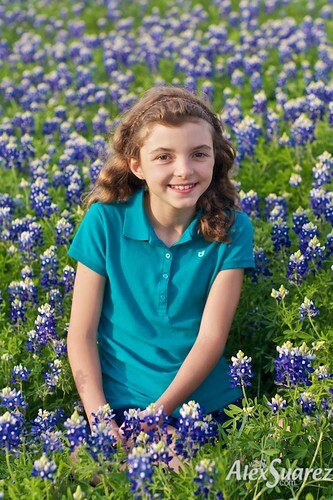 The Bluebonnet is the state flower of Texas. 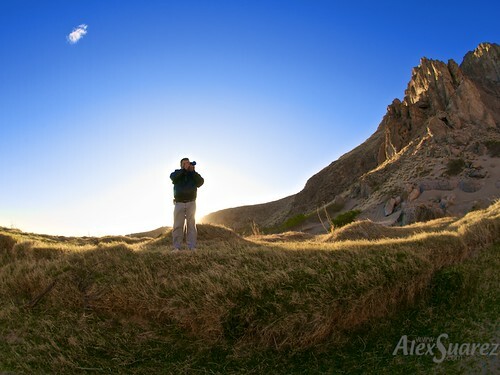 Tom Haymes photographing Boquillas Canyon in Big Bend National Park. The canyon is behind me, over my right shoulder. 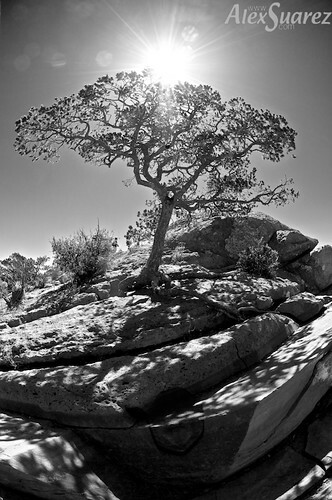 I was using Tom’s 10.5mm Fisheye again to capture this image as he took this picture. This tree caught my eye while walking up the Lost Mine Trail in Big Bend National Park. I used a 10.5mm Fisheye lens to capture the scene. A note about the last post: That was an experiment to see what it would do to the traffic. I got a big spike in views on both Flickr and my blog. I also doubled the number of subscriptions to my blog’s RSS feed. Anyway, welcome to all the new eyes on my photostream. I hope you’ll stick around. More fun from this year’s SXSW photowalk. These young ladies were outside hula hooping to attract attention and get patrons into Bikinis Sport Bar & Grill. I asked the ladies to pause their activities for a moment and pose for this shot. Strobist info: Nikon SB-600 handheld, camera left, triggered via an SC-29 cable. It appears that a strobe from another photographer to my right also illuminated the subjects.